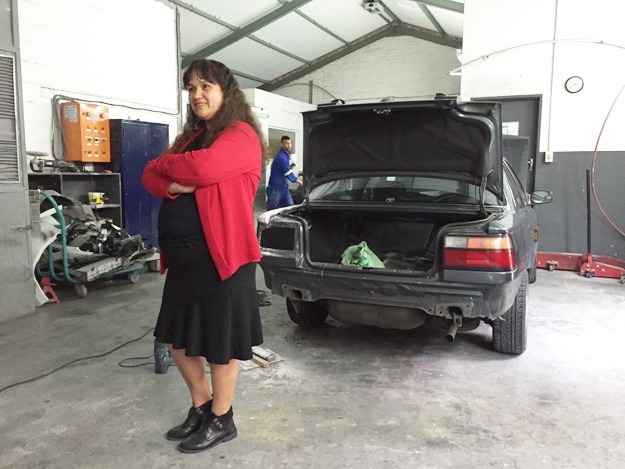 Cape Town – Sometimes when customers walk into Michelle Gasnola’s panel beating workshop, they take it for granted the boss will be a man. 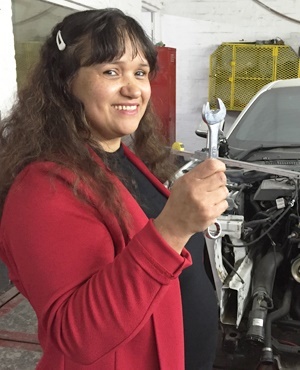 Gasnola is unique as a female entrepreneur operating in a male-dominated industry. 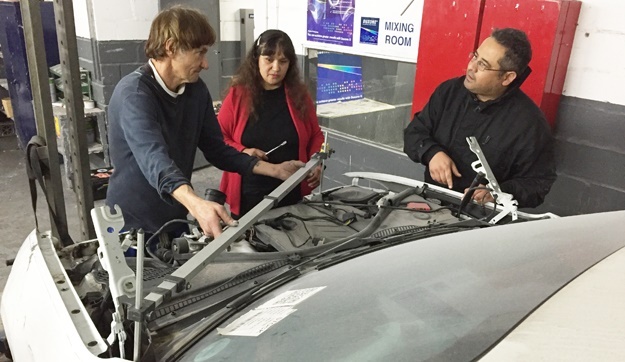 Based in Parow, near Cape Town, GMN Panel beaters is a growing business that Gasnola started in 2009. “I’ve had some people coming in here and say, ‘Wow it’s seldom that you see a woman in this trade being a boss’,” she said. “I put a lot of passion and a lot of care into this trade, because to me it’s important that the client is happy, because if the client is not happy, obviously I am not going to be happy. “A lot of my customers have left here telling me actually, ‘thank you for making me feel so welcome’,” she explained. Gasnola is part of the Sanlam Enterprise Supplier Development Programme, which supports the strategic growth and development of small and medium enterprises linked to Sanlam’s supply chain and distribution networks. Sanlam said it has quite a few women running successful businesses in very male-dominated industries. One thing that is common among them all is that they have all, at one stage of their business journey, had clients asking them the famous ‘can I please speak to your boss’ question. Gasnola said the reason she opened the business was to create more employment and now has a team of men that rally behind her mission to create an efficient and quality panel beating business. “To me, it’s not about money,” she said. “There were times when there was no money in the account, but my workers can talk for themselves: there was no short time, there was no getting on Friday: ‘sorry guys, there’s no money’. “It was a sacrifice of mine to get to my policies and get some money out there and cover the guys, because I’m not a quitter,” she said.